Lucio Bini's papers, largely, consist of incoming handwritten and typed correspondence; blueprints and related documentation for electro-convulsive therapy (ECT) equipment. They also include product information for selling equipment, records related to international patents, research notes from early experiments on animals (dogs), and from tracking early patients undergoing electroshock therapy. Newspaper clippings, photographs (both in color and black and white), and other miscellaneous materials are available. Correspondents include Lothar Kalinowsky and other professional colleagues, as well as some patients. The second box of materials are all xeroxed photocopies from Bini's materials and is not well organized. 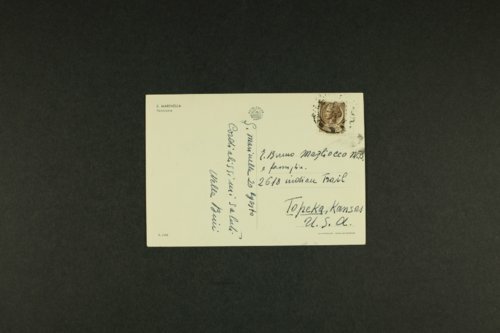 The materials also include correspondence related to the acquisition of Bini's papers by the Menninger Foundation.